Thes sea laps at the shore as a warm tropical breeze sweeps over you and beckons you to relax, unwind, and let go. Fortunately for you, our adults-only, all-inclusive resort is overflowing with some of the most enticing activities in Los Cabos. Meet us at the crossroads of tradition, natural wonder, and artistic spirit Experience cultural authenticity and a newfound world of creativity throughout this wonderous town. Stroll down historic streets and take in the vistas of pristine beaches, classic architecture, grandiose mountains, desert mystique and stunning sunsets of the region. Experience the jewel of Los Cabos Venture to the southern area of the Baja California state, Mexico, to encounter the subtly charming San Jose del Cabo. Take our San Jose Wonder adventure and discover the majesty of Mission San Jose del Cabo, established in 1730. Stroll down the historic streets of this tropical treasure to enjoy some local flare or shopping and end the day basking in the beauty of the Rio San Jose. Los Cabos is beloved for being where the desert meets the sea. 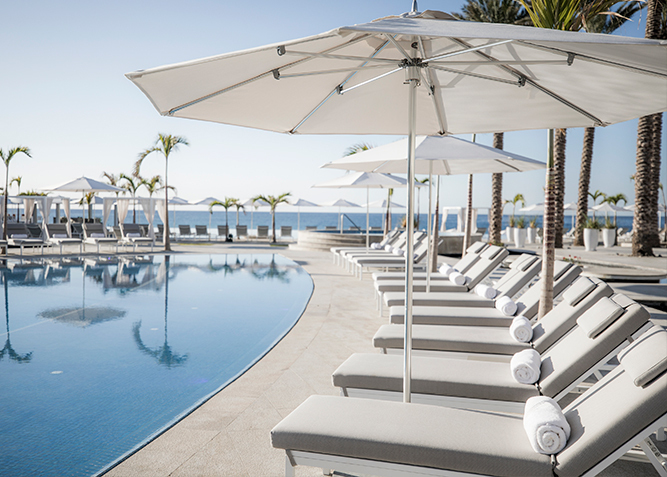 Le Blanc Spa Resort Los Cabos harnesses the breathtaking beauty of this tropical treasure while adding an air of luxurious transcendence to the experience. 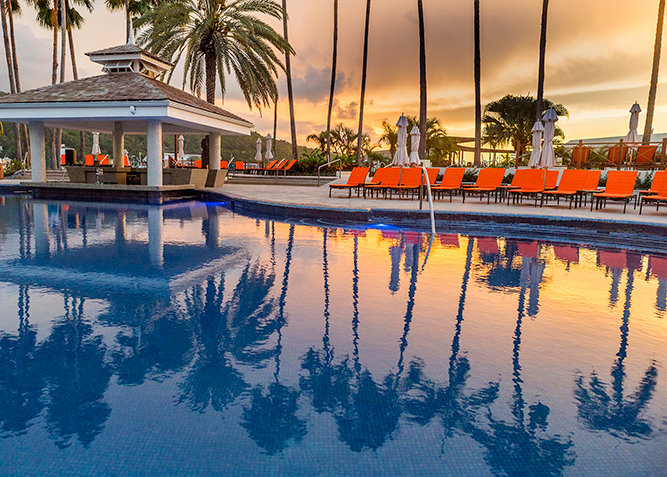 This stunning 373-room resort exudes elegance, escape, and intimacy. 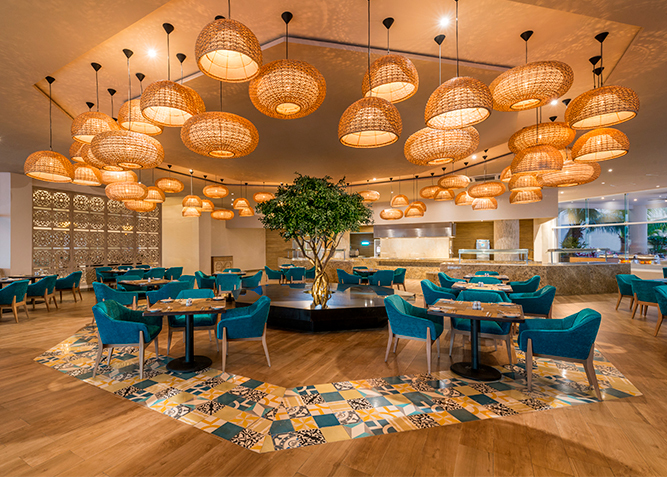 Savor an international palate of artfully prepared cuisine with 7 world-class restaurants, or toast the night in any of the 5 bars. Replenish your body in the state-of-the-art Blanc Spa. Laze poolside sipping masterfully crafted cocktails. Do it all, or do nothing at all—stay in your room, watch a movie, enjoy top-shelf spirits, and order 24-hour room service. 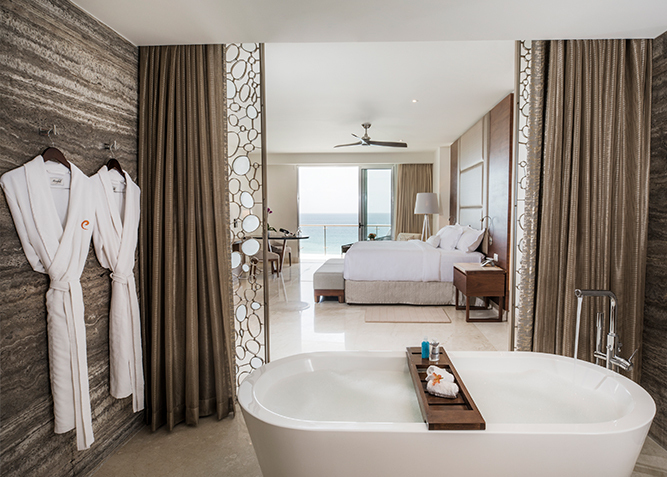 Luxury is all around you, and forever memories happen minute by minute at Le Blanc Spa Resort Los Cabos. Discover the natural beauty, and cultural gems of Jamaica with our robust offerings of exotic tours. Swim with dolphins, visit Bob Marley’s former home (now a museum), take a snorkel adventure, or experience amusement park-style rides in a Jamaican rainforest…and you may be able to use Resort Credit to pay for it. The Blue Mountain Bicycle Tours offers a downhill riding tour which is a truly delightful bicycle trip, down the mountainsides and rolling hills, a grand way to see Jamaica. Treat yourself to a thrill of a lifetime on three miles of stunning White River and gain a new perspective on natural beauty. 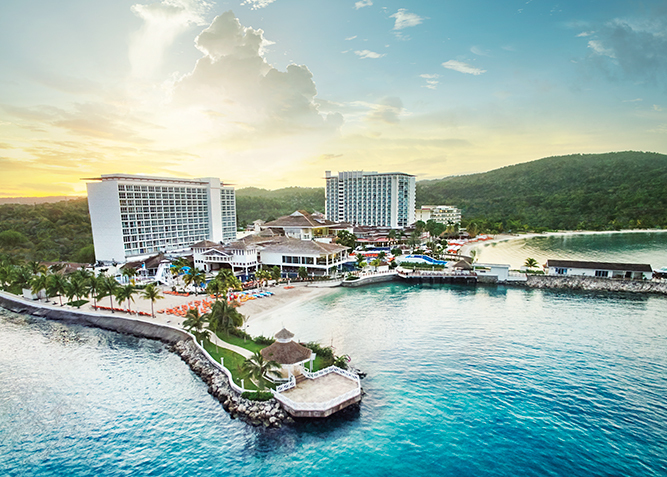 Grab your swimming trunks and suntan lotion and head over to our fun, larger-than-life paradise in Ocho Rios, Jamaica. 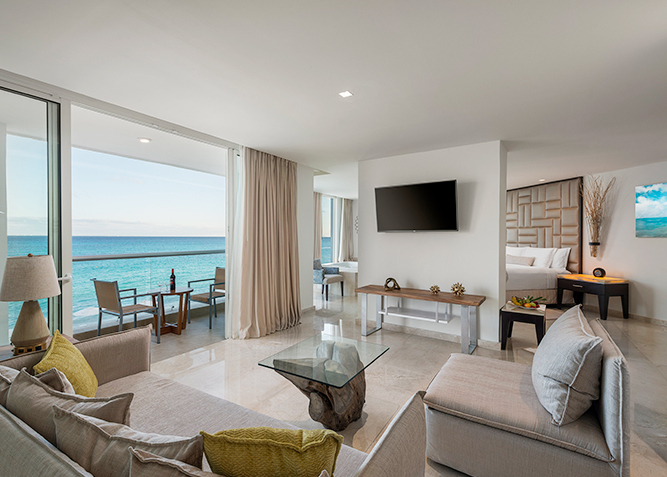 Appointed with more than 700 luxurious suites, Moon Palace Jamaica offers many of the signature amenities you've come to love from Palace Resorts. There's something special for every member of the family. No matter how big or small... 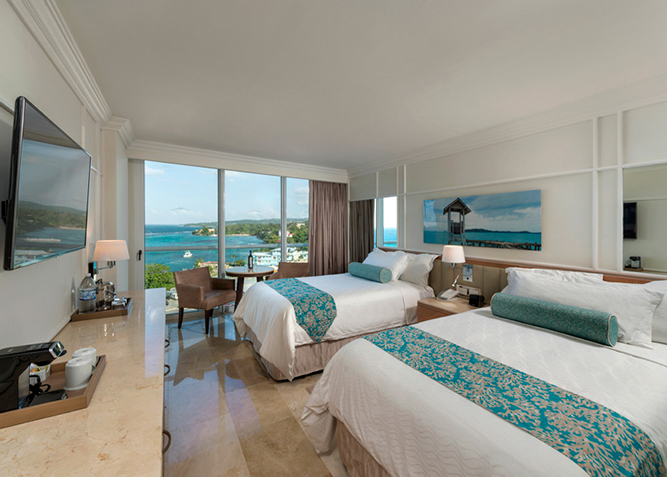 Moon Palace Jamaica promises an unforgettable family vacation experience. Yeah, Moon! Generations of sun worshippers have embraced this paradise of flawless beaches, turquoise waters, and hubs of scintillating nightlife options. Consider the options. Experience one of the largest, most important archaeological zones in the entire peninsula. Explore Mayan pathways with our certified guides and marvel at the impressive buildings and fascinating history of this great city. You will then get to climb the great Nohoch Mul pyramid, towering 42 meters above sea level. Your journey continues into the jungle, where we will visit Cenote Zacil-Ha (Clear Water), an open-air cenote with refreshing, crystalline waters. Just a few hours from Cancun, Valladolid is a great place to see authentic Mexico. Its history as a stronghold of the Mayan rebels, who fought the colonial Spanish, and today, beautiful architecture, quaint local restaurants, and most notably the now open-air Cenote Zaci, make for a scenic outing during your stay. 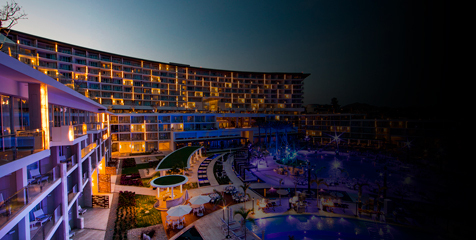 From sun-up to sun-down, Moon Palace Cancun sizzles with energy and possibility. 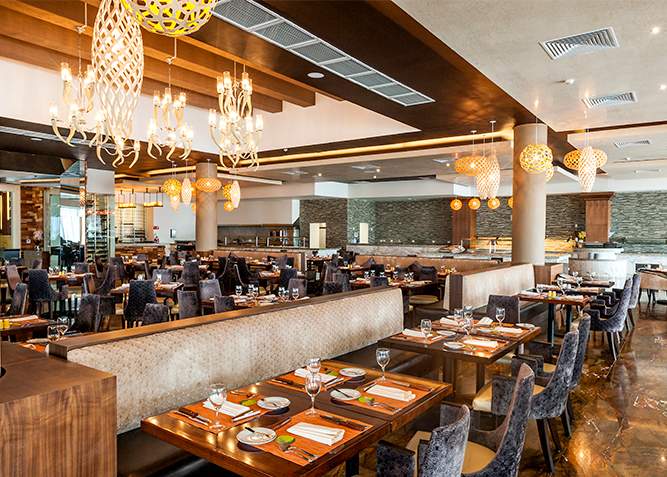 This dynamic resort hosts 12 restaurants, offering the finest in international cuisine, and 13 bars stocked with top-shelf spirits! 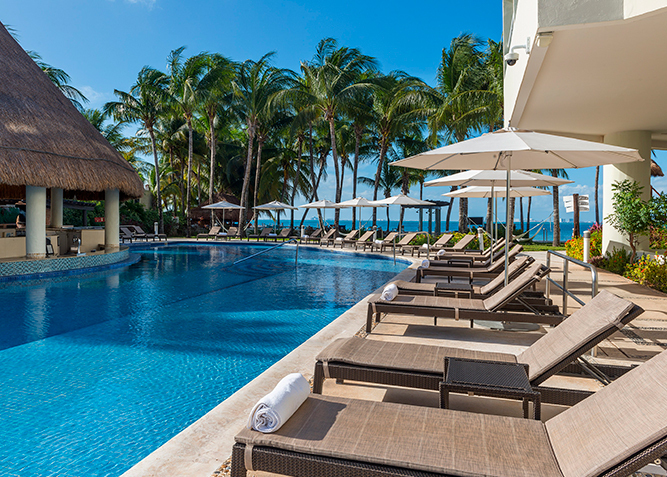 Situated on one of Mexico's most spectacular white sand beaches, this luxury adults-only brand, Le Blanc Spa Resort, welcomes you to perfection. 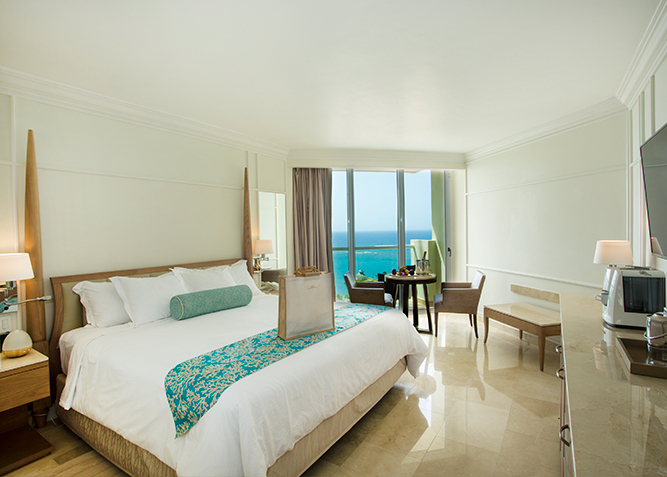 Your heavenly guest room offers an ocean or lagoon view and beckons with luxurious amenities like butler service. 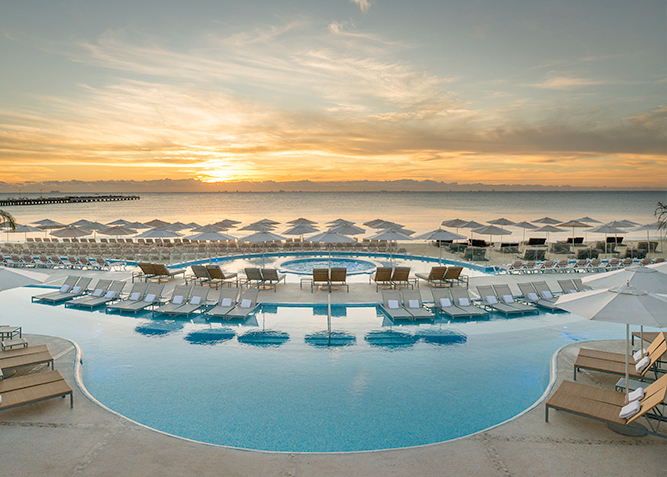 Soak up the sun by one of three shimmering pools, including two infinity pools. Dine on haute cuisine in five distinctive restaurants and complement your meal with our extraordinary collection of highly rated wines from around the world. Unwind at Le Blanc Spa and experience the sanctuary of tranquility and peace. Now offering complimentary round-trip shared transportation to and from the Cancun airport with a minimum of 4 nights stay. All requests must be submitted in advance. 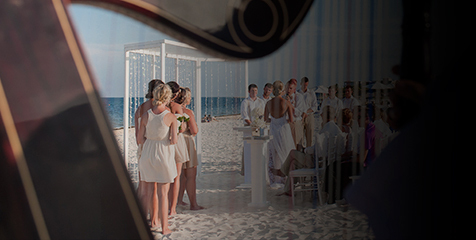 And for a memorable wedding celebration or honeymoon, Le Blanc is the perfect start. 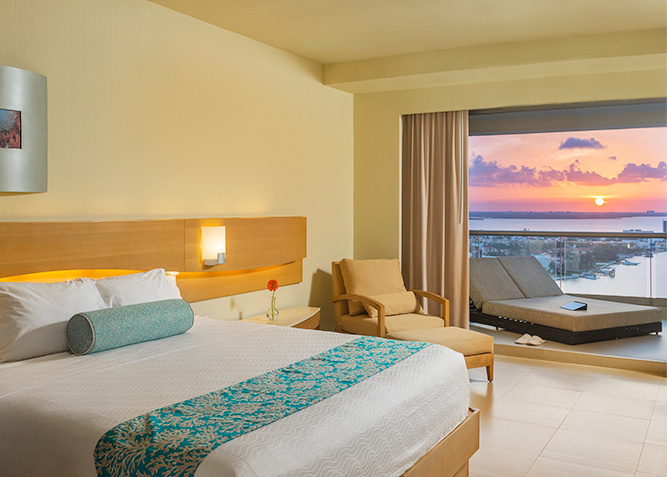 A beautiful stretch of white sand, a privileged location in the heart of Cancun's Hotel Zone, and the modern facilities of Beach Palace come together to create the perfect combination for an unforgettable escape. 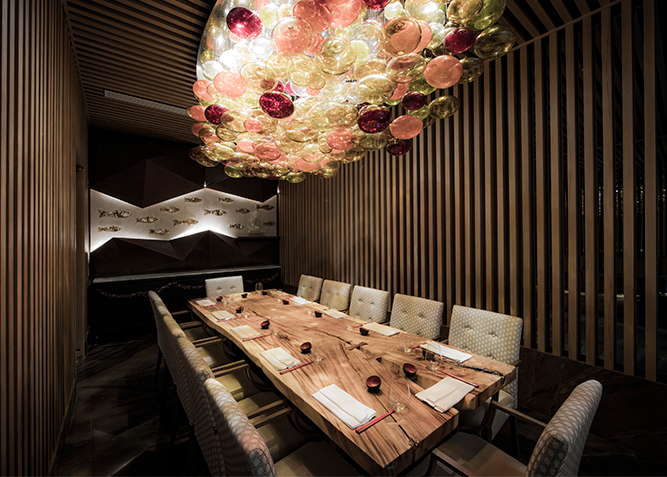 Relish in our chic decor and decadent service. 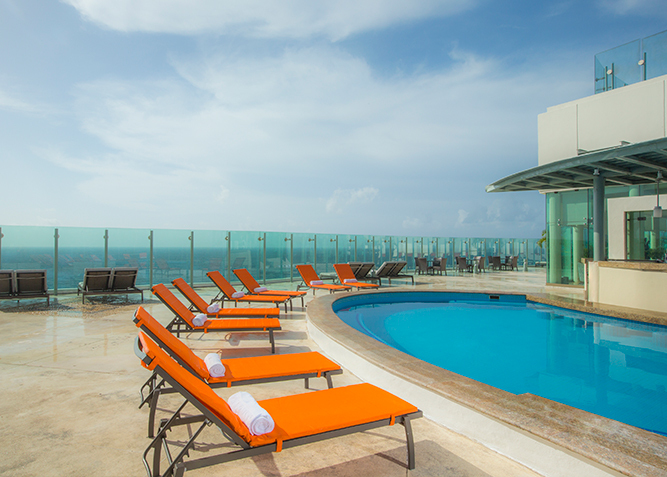 You'll share amazing views from sunrise to sunset in our rooftop pools. 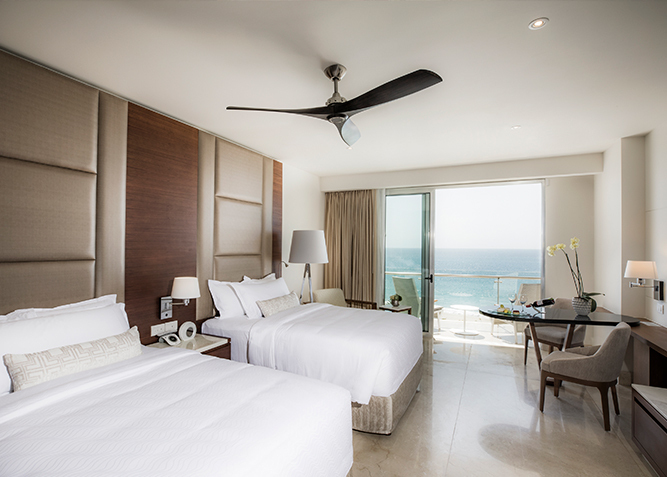 Whether you're dining on fine cuisine, relaxing in your luxurious & spacious rooms, enjoying a soothing spa treatment for two or celebrating a wedding at the Sky Deck or on the spectacular beach, you can feel it: this contemporary getaway is just your style. 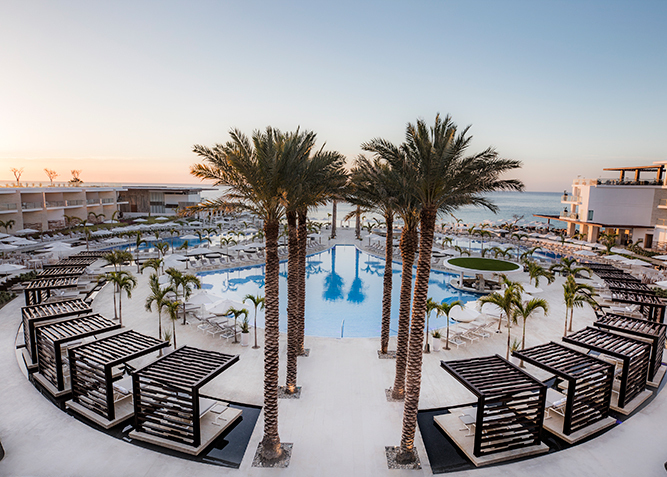 As one of Cancun's top-rated all-inclusive luxury resorts for families and couples, this destination caters to those seeking a warm escape with traditional Mexican hospitality. 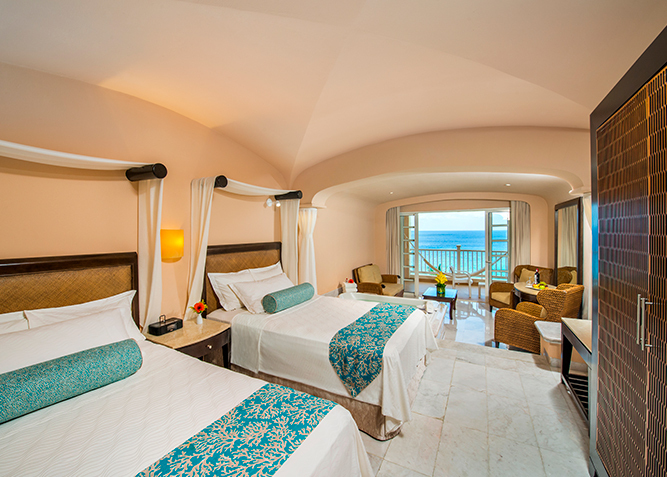 SUN PALACE For couples 18 and over, Sun Palace is an intimate oasis in the quiet southern end of the Hotel Zone. 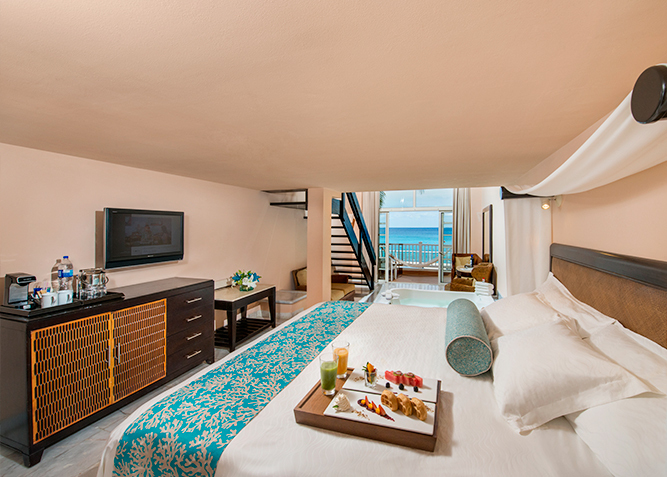 Throughout the resort, distinctive romantic touches create an unforgettable getaway. 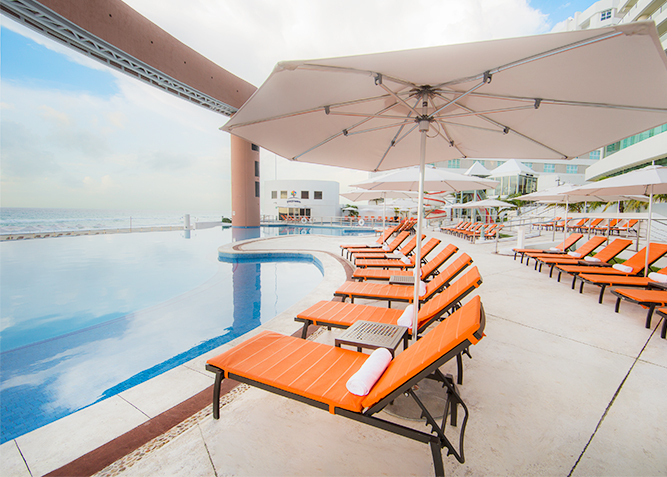 Infinity pools overlooking the Caribbean Sea offers chairs in the shallow end, so you can sunbathe and soak at the same time. The expansive beach provides the perfect setting for a candlelit dinner under the stars or an exquisite wedding celebration. Relaxing in-room amenities, like a double whirlpool tub and the comfortable Palace Bed, are perfect to complete your experience. 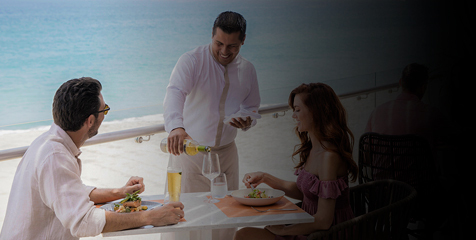 Ideal for those who want a romantic getaway with an opportunity to experience Mexican culture through tours and activities, shopping and other experiences that only Cancun can offer. Recipient of TripAdvisor Travelers' Choice Award for Top Hotel for Romance. A beachfront shopping and nightlife playground, lined with palm trees and coral reefs. 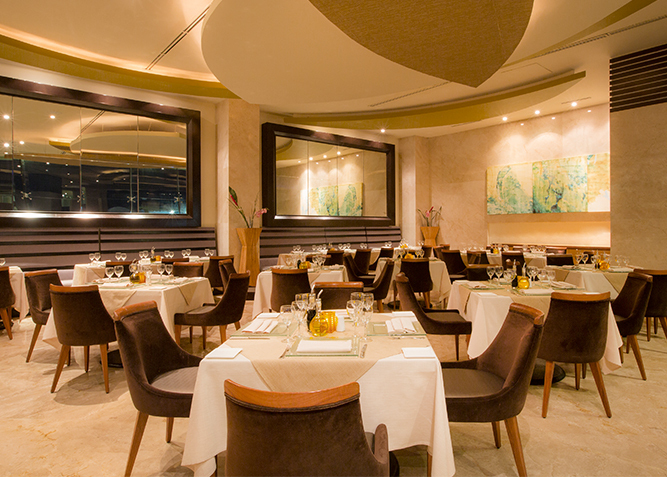 The famed Quinta Avenida (Fifth Avenue) is a bustling strip of shops, bars and restaurants. 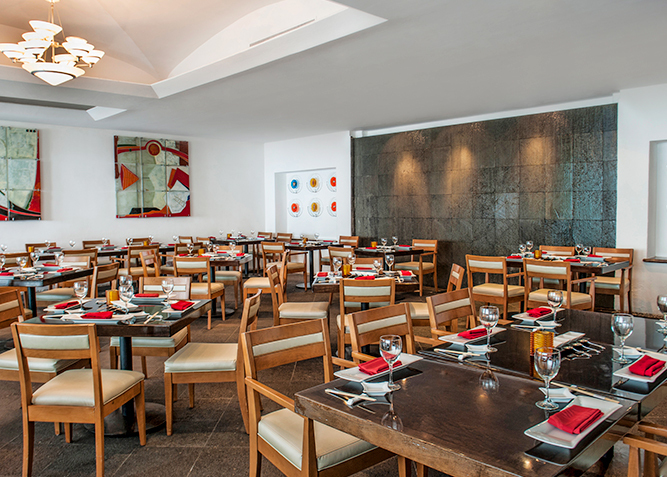 The vibe is festive, flowing with authentic Mexican culture and warm hospitality. During the day, it’s a shopper’s paradise complete with a wonderful variety of specialty, high end, and international store options. By night, the street comes alive with an array of entertainment options, including family fun town square-style shows, a bevy of bars, dance clubs, and restaurants to satisfy any appetite. Like icebergs, the true expanse of cenotes lies beneath the surface. To experience them completely, you’ll have to don scuba gear and go on an unforgettable adventure into an alien-like world. Whether you want to dive into a cenote with the sun illuminating crystalline waters or explore a dark underwater world with headlamps to light up caves devoid of any natural light, experienced divers the world over visit cenotes for thrills. The Dos Ojos Cenote west of Playa del Carmen provides among the best examples of what cenote diving entails. Tulum is the archaeological site of a pre-Columbian Mayan walled city. At the time, it was one of the most important commercial trading ports. Perched on a clifftop, Tulum is the only archaeological site overlooking the Caribbean Sea, offering spectacular views of the Riviera Maya beaches and surrounding coastal region. 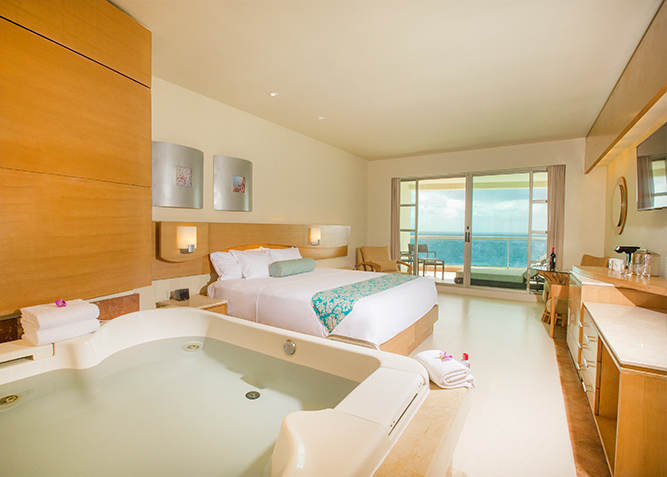 The beautiful Playacar Palace brings you all the laid-back charm of Playa del Carmen. 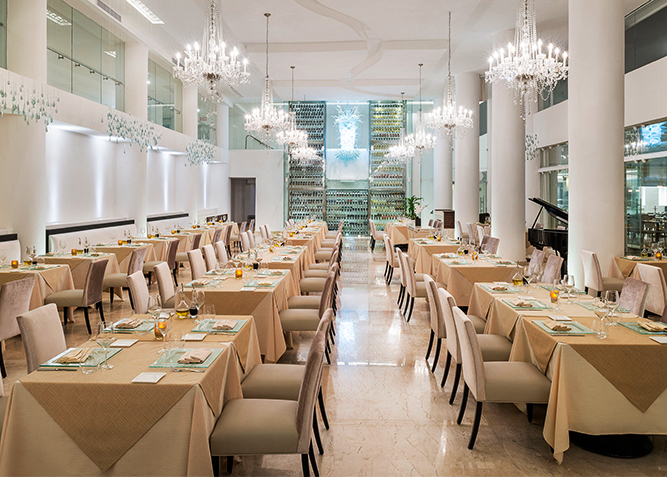 The resort is located just steps away from the famous 5th Avenue, "Playa del Carmen's Pedestrian Walkway", known for its bohemian flair and its collection of sidewalk cafes, open-air restaurants, stores, and nightclubs. 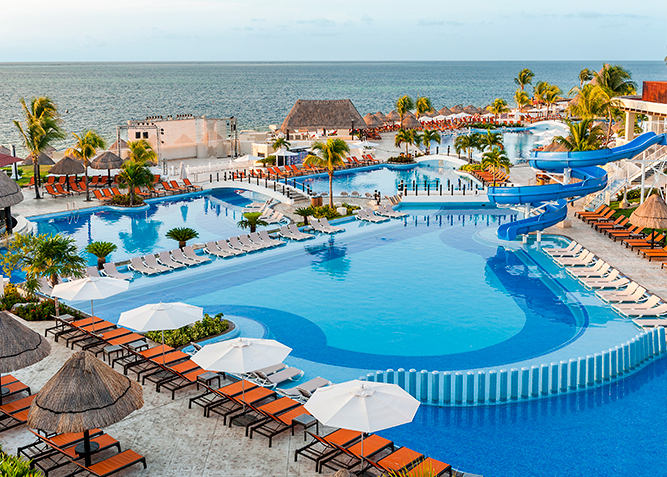 Right at the water's edge, we offer a complete vacation destination. 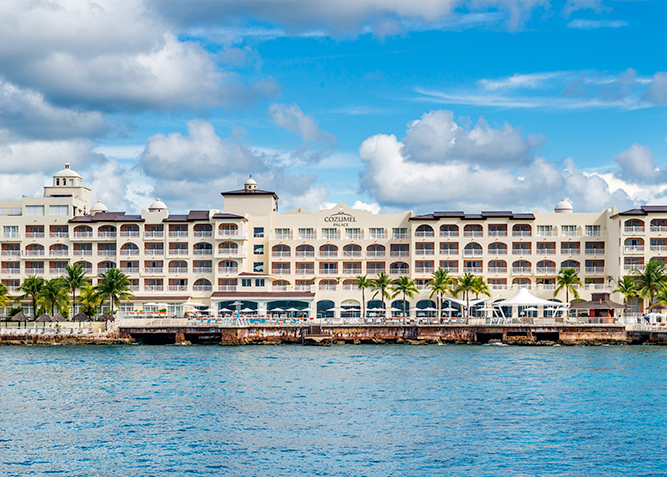 Relax amidst elegant decor, indoors and out, or walk a few blocks to catch the ferry for a short ride to the beautiful island of Cozumel, where guests can enjoy all-inclusive privileges at Cozumel Palace. 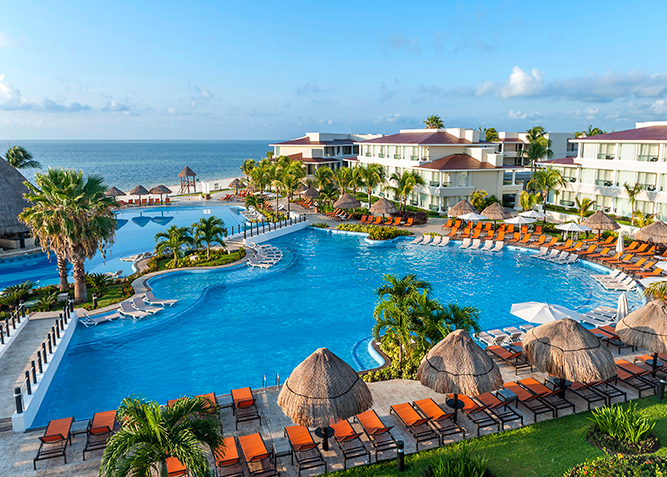 Ideal for families, couples and social groups who seek culture, shopping and Mexican hospitality at its finest. 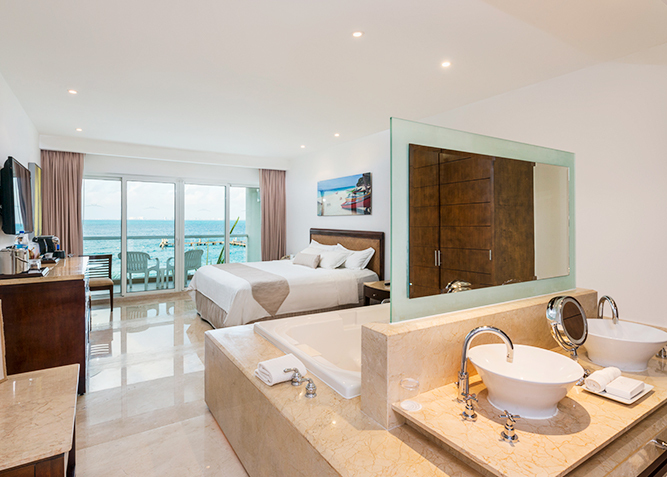 Couples-only Isla Mujeres Palace might not be the largest resort in our collection, but what it lacks in size, it more than makes up for in charm. 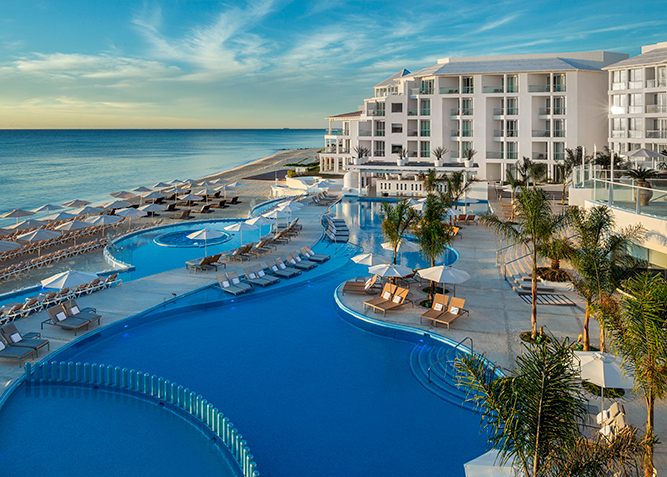 When an incentive trip is on the agenda, this all-inclusive island destination near Cancun promises pure indulgence and romance. Spend the day sipping craft cocktails under a thatched-roof hut, replenish in the spa, embark on an exotic adventure or snorkel. 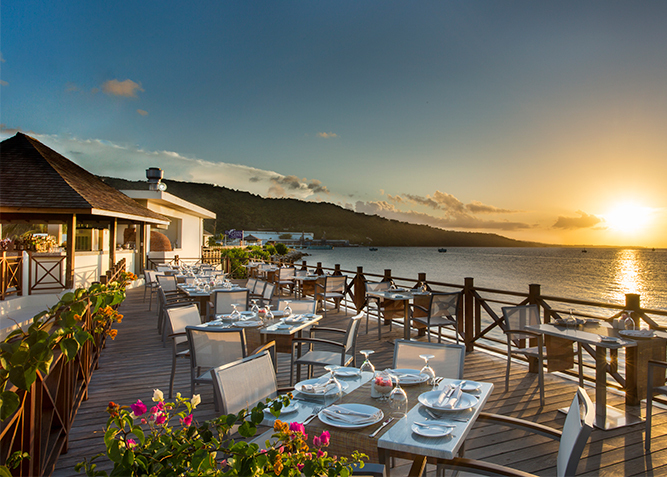 Do as much or as little as you want on your own secluded and intimate island. Who would have imagined that in this secluded Mexican island retreat, luxury and attentive service prevail? 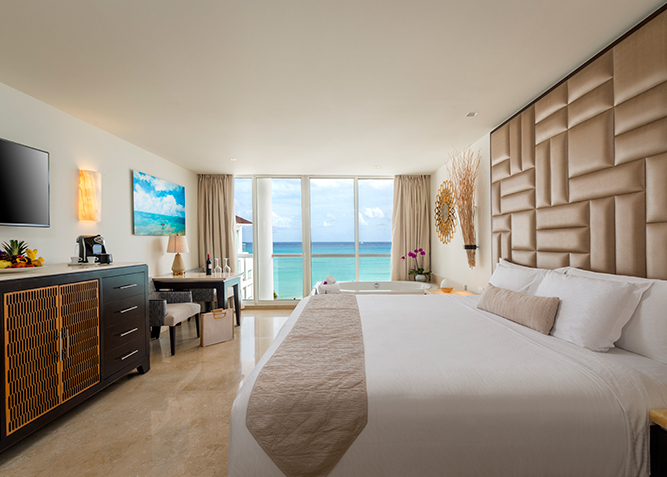 This charming couples-only 62-room resort is located on the tranquil southwestern coast of the island of Isla Mujeres, just a few miles from Cancun's mainland. Isla Mujeres brings you nature at its best, with scenic views, serene beaches, marine parks, and sculptured cliffs. 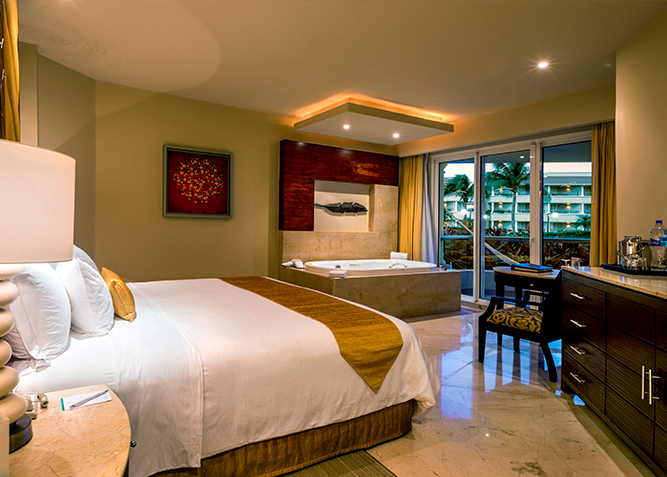 Isla Mujeres Palace combines modern amenities with an island feel, perfect for your secluded getaway or intimate wedding. Whatever your pleasure - off the beaten path adventure, sunbathing, swimming, snorkeling, spa, fine dining, or just total relaxation - you will find it all in this boutique paradise. Newest attraction in Cozumel designed to provide a different adventure to the people in a safe and highly valuable way to enjoy these magnificent creatures. Enjoy two great Ray activities; personal encounter & snorkeling. Venture to a beautiful seaside terrace in Stingray Bay to satisfy your sweet tooth at the Interactive Chocolate Workshop. With a spectacular view of the Caribbean to inspire you, you’ll learn all about the origins of chocolate and ancient Aztec and Mayan processing techniques while making your own Cocoa bar. Ignite your palate as you discover the incredible pairing of chocolate and red wine, sample various types of Cocoa and enjoy a Chocolate Martini with taco snacks. On the undeveloped north side of the island you will find San Gervasio, the popular site of Mayan ruins which date back some 2,000 years. The biggest and only official archaeological site of the island, it is also a sanctuary to Ixchel, the goddess of fertility and love. 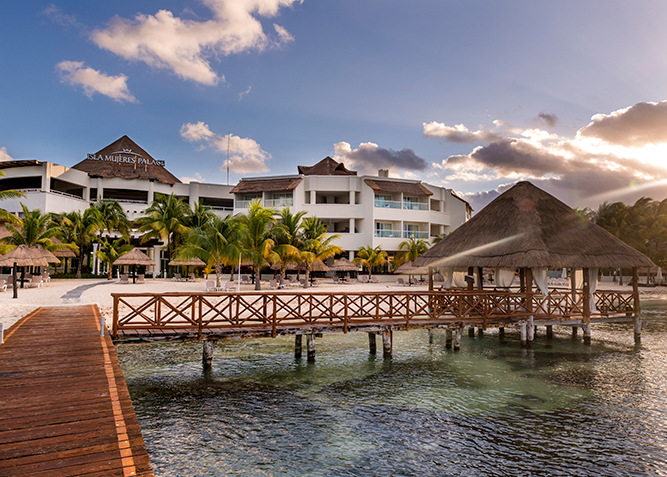 Not long ago, Cozumel Island was revealed to the world with all its charm. 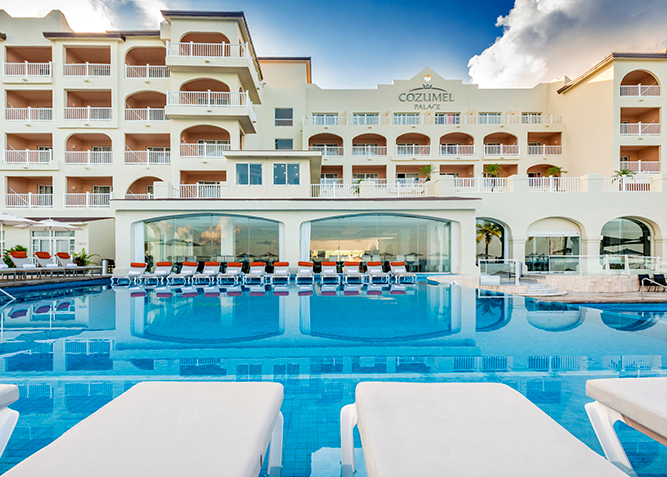 Now adventure travelers and nature lovers are discovering Cozumel Palace, a stunning resort bathed by the blue waters of the Caribbean Sea. It's the ideal getaway for all ages and perfect for divers, snorkelers, and those seeking an island vacation. 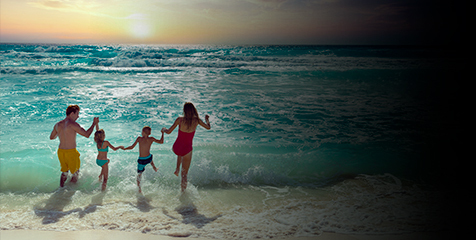 Experience how luxurious accommodations and adventurous fun can come together for the vacation of a lifetime. Make a splash by sharing your favorite activities with someone you love, or plan an enchanting destination wedding. 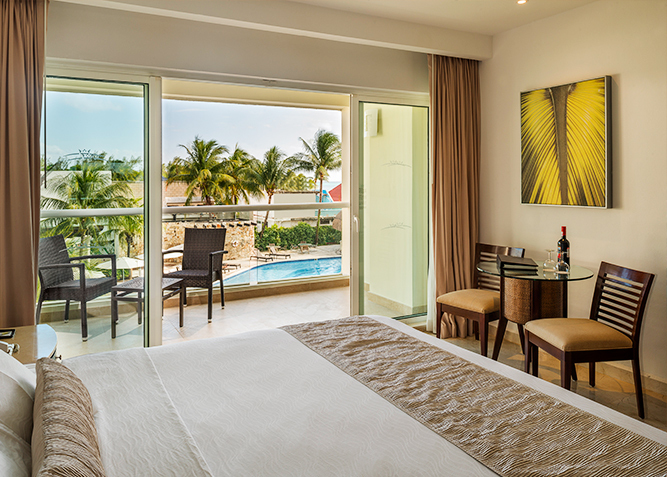 Explore the world-famous Palancar Reef, located just steps away from your guest room. 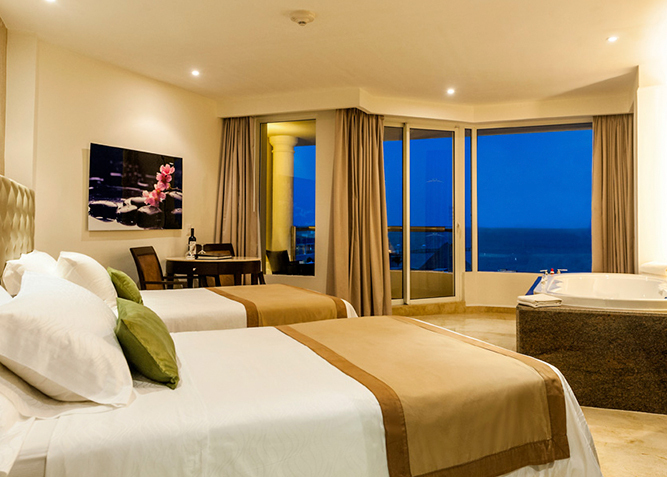 Enjoy close proximity to downtown San Miguel and the ferry pier to Playa del Carmen.